Hop Growers Union of the Czech Republic presented Czech hops at the prestigious food trade fair FOODEX in japanese capital Tokyo. 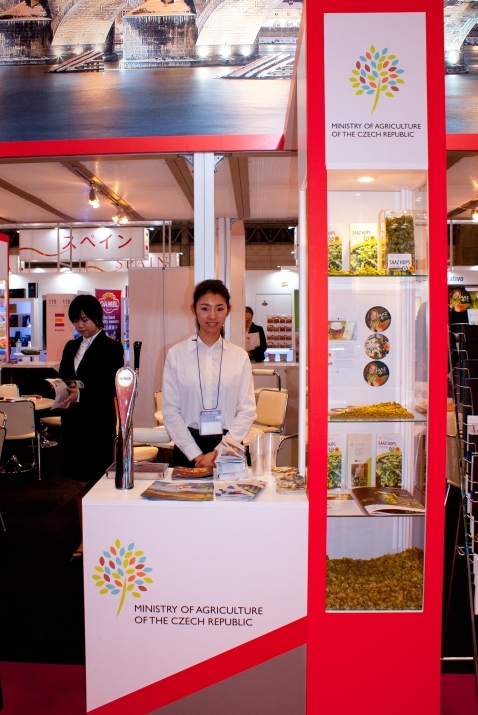 The trade fair was held at the beginning of March. We accepted an offer of Ministry of Agriculture that established Czech national booth. 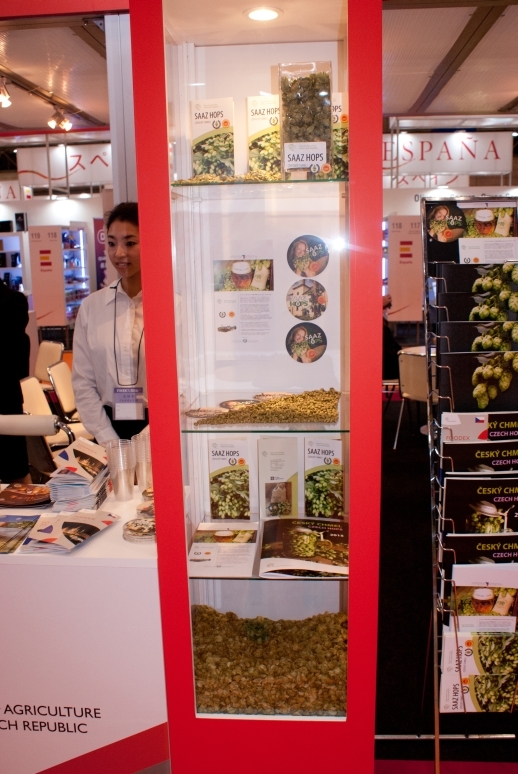 Czech hops were presented beside products such as czech beer, wine etc. Ministry delegation visited also research center of Suntory Brewery. The highest share of total czech hop export has been supplying to Japan for a long time. BrauBeviale 2015 is coming !!! Hop Growers Union of the Czech Republic will exhibit the Czech Hops at BrauBeviale 2015. The event will be under the auspices of Minister of Agriculture of the Czech Republic, Mr Marian Jurecka. We cooperate with Hop Research Institute in Zatec. The trade fair is taking place from 10 - 12th November. Visit us - Booth 550, Hall 1 and taste the special batches of beer brewed (lagers, IPAs ...) from czech raw materials. Hop Growers Union of the Czech Republic will present Czech Hops at Brau Beviale 2014. The booth will be under the auspices of Ministry of Agriculture of the Czech Republic. We cooperate with Hop Research Institute in Zatec again. The trade fair is taking place from 11 - 13th November. Visit us - Booth 548, hall 1.